I think I discovered something. No trip to Tanzania is complete without an encounter with the Maasai people. These are people who not only resisted colonization, but have also resisted the emergence of the modern Tanzanian and Kenya to maintain their nomadic ways. While their nomadic lifestyle is remarkable, they are still susceptible to the allure of city life, with many making visits to Arusha. 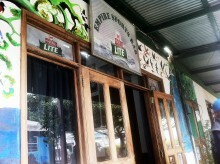 Outside of a restaurant called Discovery, I found a bunch of them and figured it was as good of a place as any to eat my last meal in Tanzania. A flaming sign for a flaming tree. While no one has yet scoffed at the idea of my eating Indian, Italian and American food in Tanzania, I have received quite a different reaction about eating Chinese. Yet, Chinese I ate. Once again it was night time and The Flame Tree restaurant was close enough to my hotel to be considered a safe distance. The place is run by a Chinese woman and deals in continental (European) food as well as the aforementioned Chinese. 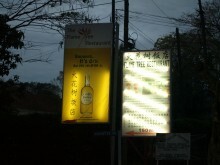 But I was truly interested in seeing what Chinese food in Tanzania would be like. While mzungus (foreigners) in Arusha can usually be found in or around their hotels, a walk across the city revealed to me where they also tend to hang out: the strip mall. 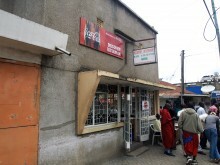 Of course, Arusha’s strip mall is quite different from what I’m used to, there is no doubt that finding a place to eat there was a lot easier for us mzungus. I opted for a place called Empire Sports Bar. While I never felt unsafe in Arusha, I was told it wasn’t the kind of city to walk around in at night. 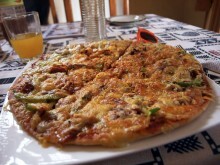 This proved to be difficult when it came to dinner, because I was staying in a hotel on the outskirts of the city. This meant my eating options were limited if I wanted to avoid getting mugged (which I’m still not sure was an actual possibility). 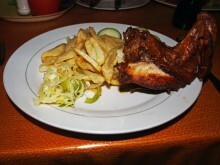 Yet, there were a couple restaurants near my hotel that catered to foreigners like myself. The prices were steeper than the local places in the city, but you can’t put a price on safety. Or something like that. 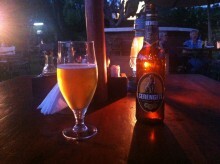 On my first night in Arusha, I opted for The Blue Heron. 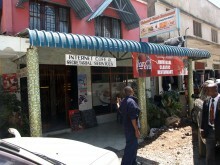 This is how restaurants look in Arusha. India has been trading with East Africa for more than a thousand years and the influence can be found all over Moshi and Arusha in Tanzania. As you might expect, this carries over into their food as well. 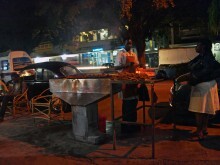 In Moshi, an Indian restaurant called Taj Mahal was cooking some meats on the street during the day that looked so good we had to go for dinner. This is the pizza coffee. Moshi isn’t much of tourist town. Other than being the jumping-off point for Kilimanjaro treks, it doesn’t have much to offer save an interesting afternoon walk. Yet, tourists always need to eat, and it seems that most of them end up at a place called The Coffee Shop. Our guide had mentioned that we might want to check it out and Lonely Planet felt the same way. So, after six days of climbing and eating local food, my climbing partners and I decided it was time to get in touch with our tourist roots. 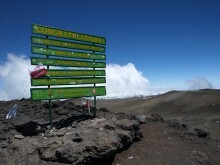 After reaching the summit of Mount Kilimanjaro and coming back down to the town of Moshi, I learned a good amount about our guides. One of these things was that they came from a tribe called Chagga. Of course, the mere mention of tribes in Africa elicits images of nomadic people living in the wilderness, but this is simply not the case. In fact, most Chagga are Christian and either farm or live in the city of Moshi. I only mention this because after we returned to Moshi, our guide, Thomas from the mountain went above and beyond to bring us to a place for dinner called Chagga Grill.